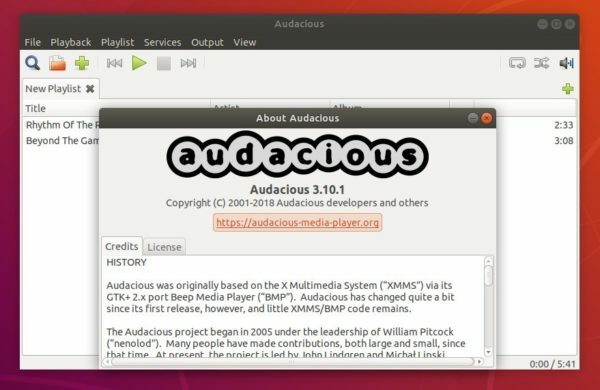 Audacious audio player released version 3.10.1 today with some important bugs fixed. 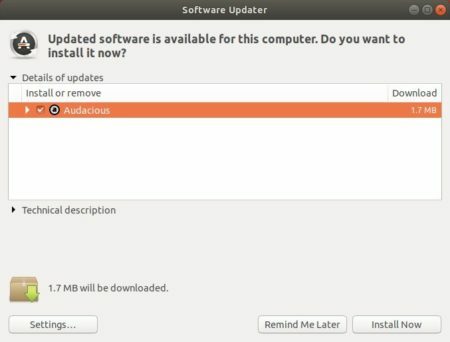 Here’s how to install it in Ubuntu 18.04, Ubuntu 16.04, and Ubuntu 18.10. You can install the new release packages in Ubuntu 18.04, Ubuntu 16.04, and Ubuntu 18.10 via the unofficial PPA.